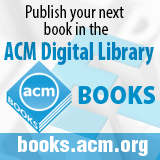 Welcome to the June 16, 2014 edition of ACM TechNews, providing timely information for IT professionals three times a week. The U.S. Federal Communications Commission (FCC) has launched an investigation into recent deals in which entertainment companies have agreed to pay Internet service providers (ISPs) for faster video delivery, a practice that could divide the Internet into fast and slow lanes, according to critics. The investigation aims to determine whether consumers are getting the speed and quality of service the ISPs promised. FCC chairman Tom Wheeler says the investigation was launched after the agency received more than 19,000 letters commenting on its recently proposed rules that he says are designed to promote Internet freedom and net neutrality. Critics of the proposal say it would destroy net neutrality by allowing pay-for-priority deals. There currently are no rules in place to enforce net neutrality, and it is not clear the FCC has the power to implement rules. However, it does have the authority to ensure telecommunications companies act in the public interest, and Wheeler's investigation is legitimate under that authority. "To be clear, what we are doing right now is collecting information, not regulating," he says. "We are looking under the hood. Consumers want transparency. They want answers. So do I." The unintentional misuse of data by authorized persons is a growing concern as more and more private information moves online. The HTTP with Accountability protocol under development at the Massachusetts Institute of Technology's Computer Science and Artificial Intelligence Laboratory is designed to automatically track the transmission of private data and enable the data owner to see how it is used online. With the protocol, every item of private data would be assigned an individual uniform resource identifier (URI). Remote Web server access would be controlled via passwords and encryption, but each time the server transmits an item of sensitive data, it also would send a description of the data's usage restrictions and log the transaction using only the URI in a network of encrypted, special-purpose servers. This network is where most of the work would transpire, as a data owner's audit request causes the servers to work through the chain of derivations, identifying everyone who has accessed the data and how they have used it. Transaction logs are distributed among the servers using distributed hash tables, and redundant retention of data on multiple servers both guarantees data accessibility if some servers go down and provides a way of learning whether log tampering has been attempted and by whom. Election monitors and states are angry and worried about the U.S. Department of Defense's failure to publicize the results of electronic-voting system security tests conducted almost three years ago. The outcomes are critical because most states already allow voters based abroad to electronically submit ballots. A representative of the Federal Voting Assistance Program (FVAP) says the program office expects to release the test results next year. From 2011 through 2013, FVAP allocated $35.09 million in grants for state and county governments to pilot systems to help overseas voters, but congressional concerns barred that money from financing programs that entail electronic ballot transmission. The U.S. National Institute of Science and Technology concluded in 2011 that "no current or proposed technologies offering a viable solution" exist guaranteeing that remote electronic absentee voting systems possess a comparable degree of auditability to polling-place systems. The e-voting system penetration tests included concentrated server scanning, SQL injection, attempts to access system administration rights, and cookie management, says Everyone Counts' Roy Grossberg. RedPhone president Jay Aceto says although testers "were able to make certain inroads, they were unsuccessful at doing what they were asked to do, which was alter votes, or decrypt votes." Computer scientists at the University of Washington and the Allen Institute for Artificial Intelligence in Seattle say they have developed the first fully automated computer program that pairs textual and visual data to learn visual concepts. The Learning Everything about Anything (LEVAN) open-source program searches books and images online to study all variations of a concept, and offers results as a comprehensive, browsable list of images. By examining the content of the images and identifying characteristic patterns using object-recognition algorithms, LEVAN learns which terms are relevant. LEVAN scans the text in millions of books available on Google Books to find every instance of a concept, then uses an algorithm to filter out words with no visual association. After determining which phrases are relevant, the program conducts a Web image search to find corresponding photos. Dictionaries, encyclopedias, and other information resources are increasingly providing visual information because it is easier to comprehend and faster to browse, but these resources often must be manually curated, says Allen Institute research scientist Santosh Divvala. By contrast, Divvala says LEVAN requires no human supervision and automatically learns the visual knowledge for any concept. LEVAN launched in March with only a few concepts and has now tagged more than 13 million images with 65,000 different phrases. The U.S. National Institute of Standards and Technology (NIST) says the public has one final opportunity to comment on the choice of a Secure Hash Algorithm (SHA) before it replaces the SHA-2 family of algorithms and becomes the new standard for federal digital signatures and other hashing functions. The Keccak algorithm was selected as the winner of a five-year public competition for a new hashing standard in 2012 by NIST. The institute is asking for public comments to ensure that no patents will be infringed in the use of the algorithm. NIST received 64 entries after two preliminary rounds, ending in December 2010. Then, after 18 months of review, Keccak was selected as the winning algorithm in October 2012. NIST says Keccak has the largest margin of security among the finalists, and its simplicity and flexibility means it will be able to run efficiently on a wide variety of platforms. The traces of heat left behind when someone touches something could potentially be used for interacting with wearable computers. The augmented reality company Metaio is developing technology called Thermal Touch that could enable people to use all kinds of objects--walls, books, and perhaps even toys--as interactive touch surfaces. Thermal Touch combines a thermal camera that detects the residual heat from a touch with another camera that registers visible light to determine the location of the object being touched, enabling Metaio's software to map that touch on the object in three dimensions. Both cameras are combined in a device called the Optris PI 200 that Metaio's Daniel Kurz straps to a computer or a tablet to test the technology. Kurz hopes thermal cameras will make their way into smartphones and wearable computers in the near future. He says the technology can work across a range of temperatures, as long as the surface being touched is either hotter or colder than the person's body. Kurz also says Thermal Touch will work on many surfaces--with the exception of metal--assuming they have features or patterns that can be tracked. The premiere event for robotic football, the RoboCup, is scheduled for Brazil in July, and the University of Pennsylvania robotics lab will be seeking a fourth consecutive RoboCup. Robots have improved their game from a decade ago, having moved from four-legged doglike machines to two-legged humanoid forms. However, they still move awkwardly, sometimes fail to locate the ball, and often end up in collisions or fall on their own, notes Daniel Lee, who heads the University of Pennsylvania robotics lab. He says it may take another decade or two before humanoid robots are capable of competing with the best players in the world. Roboticists need to develop technology for individual robots, and find better ways for machines to communicate with each other to coordinate strategy, but the biggest challenge is to develop the type of awareness and intelligence that athletes have. Lee says similar technology can be used in robots that perform household tasks or search and rescue, as well as in self-driving cars. Windows bug-testing software is providing insight into how stem cells determine which type of tissue to become, demonstrating the potential for software to play a critical role in regenerative medicine. "It is a sign of the convergence between carbon and silicon-based life," says University College London regenerative medicine specialist Chris Mason. A reliable method of determining whether specific embryonic stem cells renew themselves indefinitely or differentiate into any type of cell in the body could improve research into new medical treatments, says Microsoft Research computational biologist Sara-Jane Dunn. Together with stem cell scientists at the University of Padua and the University of Cambridge, Dunn studied mouse embryonic stem cells to isolate genetic and environmental processes. The team used a formal verification technique to discover the program that kept the cells in the unspecialized state. Formal verification typically studies software algorithms to ensure the output always meets the programmer's expectations, but can also start with the output to learn about the algorithm that created it. The researchers used this reverse process to input genetic and chemical data from different stem cell cultures into the software, and discovered the self-renewal process is significantly simpler than previously believed. The researchers also used the software to forecast the cells' responses to genetic changes with about 70 percent accuracy. A team of academics and private companies collaborating on the Smart Emergency Response System envision first responders eventually deploying hotspot-mounted drones in the aftermath of a disaster. An app on a survivor's phone would connect to the emergency network directly or via a chain of nearby devices and report the user's situation and needs. A command center would receive the data from survivors as well as from search dogs wearing a variety of sensors, including cameras, microphones, gas sensors, global positioning systems, Geiger counters, and physiological monitors to gauge the animals' heart rates and states of being. When a gas leak is detected, operators would send in a haptic robotic arm to cut the flow via a joystick-like controller. A humanoid robot also would rescue people trapped in burning buildings. The project is part of the Smart America Challenge, a federal effort launched in December to spur the technology behind cyber-physical systems and the Internet of Things (IoT). A demo was on display at the recent Smart America Challenge Expo in Washington, DC. Federal Chief Technology Officer Todd Park says cyber-physical systems and the IoT "can provide concrete, significant, growing socioeconomic benefits that create jobs and business opportunities." Pennsylvania State University researchers have found that despite legislation and warnings, online consumers remain susceptible to post-transaction marketing schemes. In such schemes, upon completing an online transaction, consumers are immediately redirected to a marketing offer from an affiliated marketer that, although unrelated to the previous transaction, is often made to appear that way. Consumers are generally asked to opt-in or opt-out of an additional offer, sometimes with data from the previous transaction used to prepopulate input fields such as an email address. Researchers say this latter tactic makes it more likely that consumers will believe the second offer is actually part of the previous transaction. The researchers set up an online music store and gave 550 participants $1.50 to buy and download a 99-cent song, being told they could keep whatever was left when the transaction concluded. After buying a song, participants encountered a post-transaction offer page advertising a safe delivery service using various combinations of opt-in and opt-out tactics and the prepopulation of information fields. Forty percent bought the additional service and 50 percent said they believed the second offer was connected to the original transaction or thought it was unclear. Hewlett-Packard (HP) has announced a new computing platform called The Machine, which it says will transform computing by improving memory and using fewer resources. The Machine will include hardware, an open source operating system, and silicon photonics technology that will use fiber optics instead of copper connections to increase bandwidth. The Machine offers HP an opportunity to revive its plans for the memristor, a technology designed to improve memory as the fourth fundamental component along with the resistor, capacitor, and inductor. "Ninety percent of the time and energy consumed by the current generation of computers goes from moving information from one memory into another," says HP CEO Meg Whitman. HP believes The Machine will offer impressive capabilities, for example, enabling firms to analyze a trillion records in a second. HP plans to begin work on the operating system this year, and next year will begin sampling memristors and establish Core prototypes. HP expects to start a public beta of the operating system by 2017, and offer The Machine as a product and service by 2019.